Centaurea Cynus – Cornflower ‘Purple Haze’. Having four varieties of Cornflowers in a shop the size of Higgledy Garden is a touch on the decadent side, but I’m a huge fan of the beasties. ‘Purple Haze’, produces single, semi-double flowers in attractive purple to almost black shades, and purple and white bi-colours. 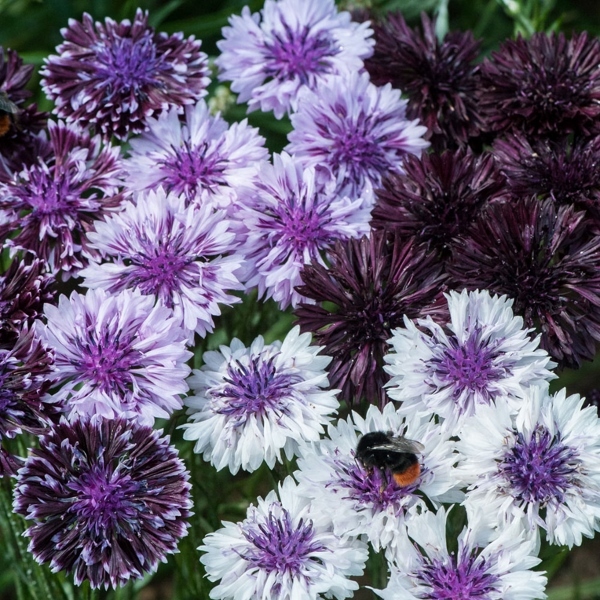 This stunning flower is ideal for cutting or creating swathes of colour when sown in drifts. The darkest ones are identical to ‘Black Ball’…but if you are looking for a greater range of colour and tone, then try ‘Purple Haze’.